Dr. Levitas uses the latest technology to provide comprehensive dental treatment for patients. It is his belief that the quality of a patient’s dental care impacts their overall health. With more than 10 years of providing dental services to patients in both hospital and private practice settings, Dr. Levitas understands the importance of providing quality, attentive, patient-focused care. Indian Trail Dentistry was founded in 2003 with the goal of providing the highest level of patient treatment with the best service possible. We believe our practice benefits from having a warm and friendly staff who listens to our patients to better understand their needs and deliver the best in quality care. 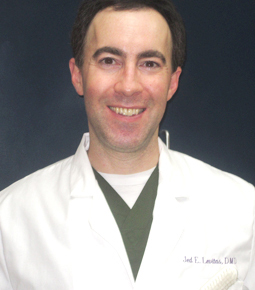 He has received advanced training in Lumineers Smile Design, Oral Sedation, and Anterior and Posterior Esthetic Workshop (Nash Institute for Dental Learning).